Hollis Johnson/Business InsiderIHOP’s pancakes and burgers provoke strong emotions. IHOP’s burger sales quadrupled after the chain, the International House of Pancakes, temporarily changed its name to IHOb, the International House of Burgers. The promotion was a “huge success,” according to IHOP executives. “Literally everybody in the world now knows that IHOP is now selling burgers,” IHOP’s president, Darren Rebelez, told Business Insider. IHOP’s decision to temporarily change its name to IHOb had an explosive impact on social media. But, many wondered if it would actually help the chain’s sales – or if it could even damage IHOP’s pancake-centric brand. On Wednesday, IHOP reported its sales for the quarter and officially declared the IHOb promotion a success. IHOP’s comparable same-restaurant sales increased 0.7% in the most recent quarter. 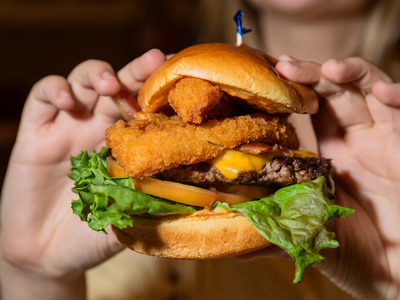 More importantly in terms of the International House of Burgers, hamburger sales quadrupled following the promotion, contributing to a significant lift in lunch and dinner sales. “We think it was a huge success,” IHOP President Darren Rebelez told Business Insider. IHOP’s “word of mouth” score skyrocketed following the name change, according to YouGov BrandIndex data, reaching its highest levels since late 2012. According to the company, the name change inspired roughly 20,000 news articles and 36 billion social-media impressions. “I was asking people, has anyone seen anything bigger than this?” Steve Joyce, the CEO of IHOP parent company Dine Brands, said. Rebelez says lunch and dinner sales have “taken off” with the promotion, in a way that IHOP had struggled to manage before the name change. Breakfast sales were roughly flat during the promotion, according to Joyce, who added that they have “rebalanced” now that IHOP has returned to its original name. 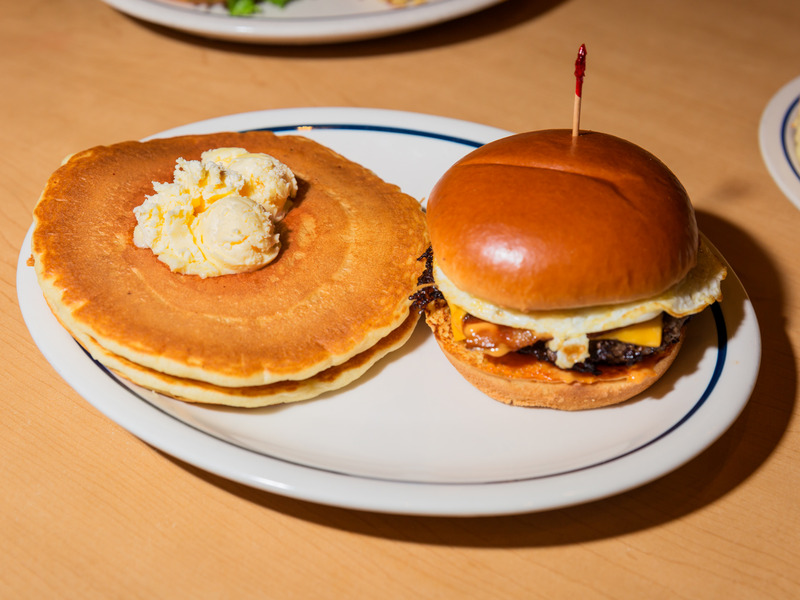 IHOP will continue to sell both burgers and pancakes in the aftermath of IHOb, and it will market itself as a breakfast-centric chain. If nothing else, executives say, the IHOb name change both informed customers that the chain serves burgers and revealed how passionately people feel about IHOP’s pancakes.